Visit the Eden Killer Whale Museum http://www.killerwhalemuseum.com.au and learn of the strong history of whaling in Eden. 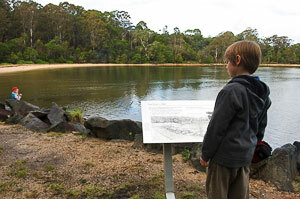 Explore the Marine Discovery Centre at Snug Cove and discover our marine life http://www.sapphirecoastdiscovery.com.au. 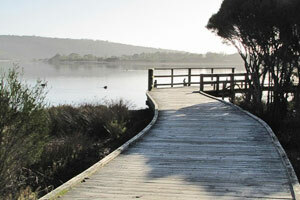 Take a relaxing walk along Aslings Beach or around the magnificent Lake Curalo. 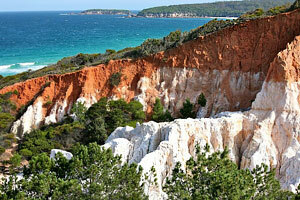 Our National Parks form part of what is becoming internationally recognised as “Australia’s Coastal Wilderness”. We are located just a short drive from all of the magnificent National Parks in the area for you to explore for the day before returning to the comfort of your room to relax and re-energise. Ben Boyd National Park is just one of many of the magnificent places on offer where you can immerse yourself in nature and take in some of the most breathtaking scenery you will experience. 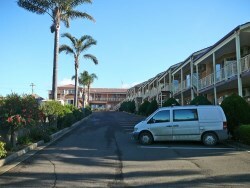 Visit the fascinating sites around Eden all within a short drive of Twofold Bay Motor Inn. Vist Davidson’s Whaling Station and see the relics of the try-works and read about life of the 19th century whalers. 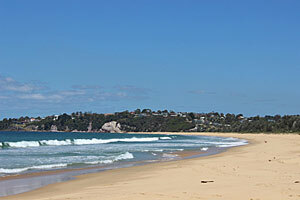 Visit the Seahorse Inn built by Benjamin Boyde, just 8km’s south of Eden at Boydtown. Built in 1843 using convict labour and named after his steamship. Drive to Boyd’s Tower approximately 34km’s south of Eden where Benjamin Boyd built an elaborate sandstone structure with the intention of having the structure serve as a lighthouse. Instead, the tower was used for whale spotting. Taste the flavours of Eden! 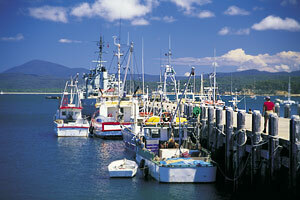 Approximately 2,500 tonnes of seafood is produced in Eden every year for domestic and international markets. Take the time to freely inspect the modern fish processing rooms at Snug Cove, purchase fresh mussels at the wharf as the boat unloads, or call in to the Eden Smokehouse and purchase some of their locally produced product. 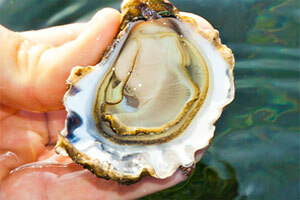 Wonboyn Lake near Eden is the most southern estuary in NSW that farms the most famous Sydney Rock Oyster. While visiting Wonboyn Lake speak to the farmers as they work or purchase fresh quality local oysters direct from the farmer. Watch the Whales! Either watch as the Whales frolic in the bay from your room or patio or take a Whale Watching Tour on the Cat-Balou. 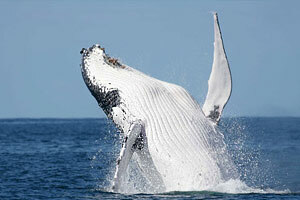 Observe the acrobatic displays of the Humpback Whales. Be sure to listen for the siren sounding from the Eden Killer Whale Museum!! Or visit us for the annual Eden Whale Festival for a spectacular street parade and an array of local food and wine.